Breckenridge Grand Vacations manages three timeshare resorts in Breckenridge, CO and is currently building a fourth one. With 400 employees and a 50% turnover rate, the hiring process used to involve a great deal of paper. Here is how Laserfiche Forms made onboarding new hires a quick and painless process. 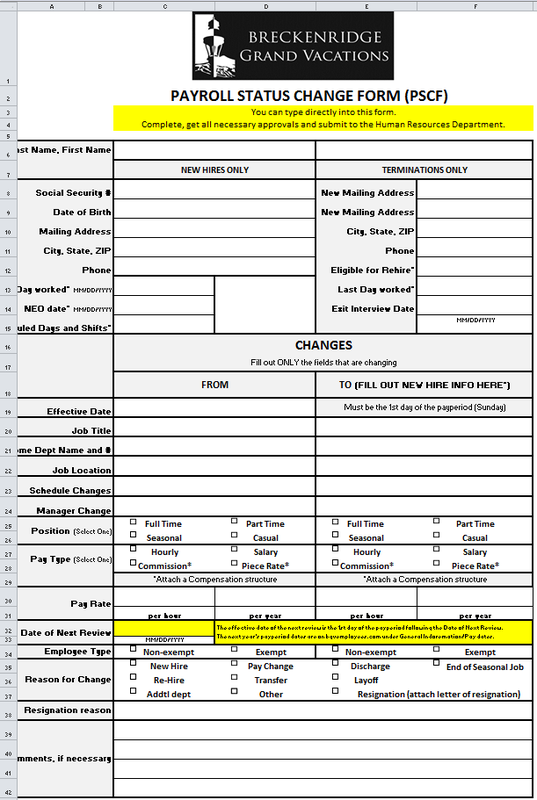 Fill out a lengthy new hire form in Microsoft Excel with all of the new hire’s personal data and salary information. Submit a new helpdesk ticket to set the new employee up with all appropriate hardware and software, such as computer login and phone number. Register the employee for new employee orientation. Hiring managers generally performed these steps at different times, so the people who needed the information frequently didn’t receive it in a timely matter. The new hire form in particular had to be printed and driven around the organization’s eight different locations through interoffice mail to be signed. It was then delivered to HR, where an employee manually entered all of the new hire’s information into the HR system, only to find out that required information was missing or the form was not filled out correctly. Drop-down fields that ensure the manager selects an answer that is appropriate to the question. For example, the Location field has a list of all of the available locations. The manager does not have to remember the proper spelling or name of a location. Field rules that guarantee the manager only fills out information that is pertinent to the particular new hire. For example, the compensation structure fields only appear if the manager selects the commission pay type. Database lookups that allow some of the information, such as the name of the hiring manager’s supervisor, to be prepopulated directly from the employee database. This ensures that the form is routed to the correct people for review. 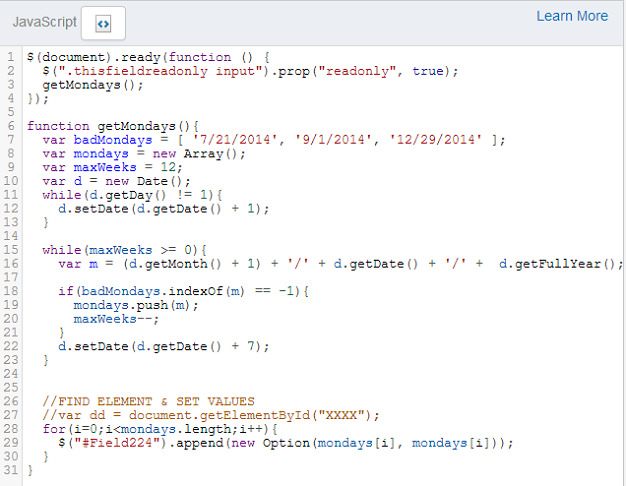 Read-only fields that ensure that some of the prepopulated data cannot be changed. 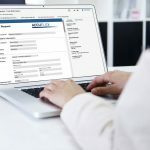 For example, the three different approvers who need to review the form are automatically populated based on the employee ID of the submitter. Those fields are set as read-only so that the submitter cannot alter the chain of review. If the reviewer doesn’t approve or reject the form in three days, he/she receives a reminder email. 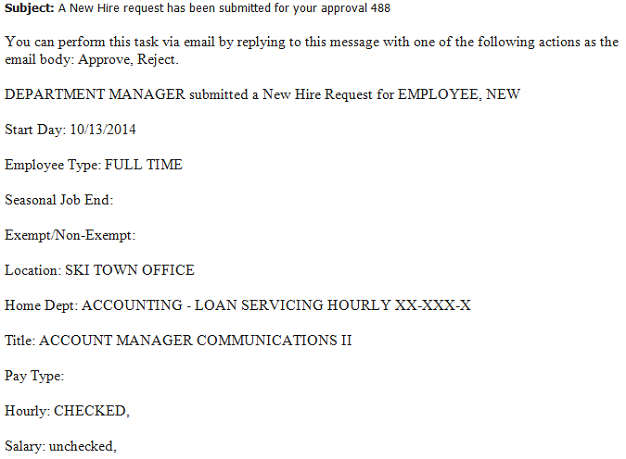 If at any point the form is rejected, an email is sent to the hiring manager and the process is terminated. Once the form has been approved by all reviewers, the HR assistant is notified by email. Another email is sent to the IT helpdesk. 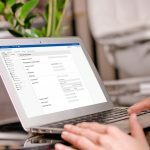 The IT email notification contains all of the information the IT employee needs to set up the user in all systems. The HR and IT departments receive information that is always correct, complete and timely so that everything is ready before the new hire’s first day. The forms can be built by an HR technician, who can also make changes without having to wait for assistance from the IT department. 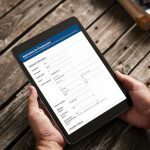 Direct approval allows managers who travel between locations to approve new hire forms quickly from their email inbox without having to log into Laserfiche Forms. Employee information is more secure—there is no longer the possibility of a form being lost on the way to another location or accidentally viewed by an unauthorized person.